Stationed in the DC Area? Plan a picnic; Sit on the stairs of the Lincoln Memorial and watch the fireworks above. Find a friend with a boat and sit in a lake so you can see the reflection of the fireworks! Invite an elderly veteran to your picnic and thank them for their service (our WWII veterans will not be with us much longer). Study the 50 States. Fifty States… do you know 50 State capitals? Plant a garden with Red (Petunias, geraniums, salvia, impatience, bleeding hearts to name a few) White (alyssum, geraniums, petunias, asters, daisies) and Blue (delphiniums, pansies, irisies) flowers. Write a Letter to a soldier stationed overseas. Checkout “A Million Thanks” (http://amillionthanks.org/) to find a drop-off location if you don’t have a service-member in mind. Make a large map of America on butcher paper or any large surface and highlight the states where you have lived, vacationed or family lives. Print out words to our national anthem and post them on the fridge. Thank a veteran for their service to our country which enables us to continually celebrate the 4th of July! Participate in your local parade, be a part of the parade either by marching or by standing on the side-lines and enjoying the patriotic display. Is there a local boat parade? If you are near a lake this is a great way to get in the spirit. Decorate your boat and join in the fun! Give your young kids glow sticks for the fireworks. Glow-sticks can’t burn them! 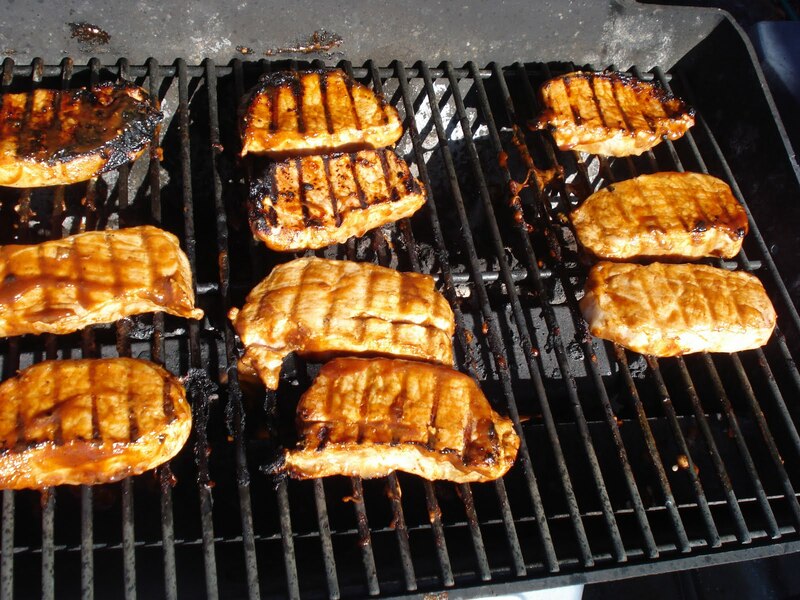 Bring the grill out to the front yard and have a neighborhood party! For those who are single, find a local bar/grill or small group to celebrate with others! Study the 50 States. Try to name them all. Display your American Flag with pride. Put smaller flags around your mailbox or in your garden. Study the 50 States. Make up a blank map and try to put them all on the map. If you live near the coast-line head to a beach town! Most beach towns put on their own fireworks show over the water and there is nothing more beautiful and peaceful than watching the colors reflect over the ocean while breathing in fresh ocean air. Do you know an older person living independently who could use your help? Offer to help get groceries or mow their lawn, especially on hot summer days. Make sno-cones with the kids! Use crushed ice and then flavor with Red and Blue Kool-aid and plain ice for the white. Visit a historical site in your area. Learn more about the history of America, right in your own backyard. Involve the kids and make a Red, White and Blue Dessert - Perhaps something as simple as Red Jello, Cool Whip and Blue-berries. Is your unit / brigade / group having a BBQ? Attend! You might meet some new people and enjoy the festivities with other families like yours. Head to a local Baseball game; Minor, Major, or even pee-wee. What a great American Sport! Near Fort Hood? Head to ‘Freedom Fest’ (http://www.hoodmwr.com/freedomfest.htm). What is your installation doing for the 4th? Check with your MWR. Plan a white-water rafting trip! What a great way to get out and enjoy the beauty of the country we live in. Head to the commissary and buy a watermelon! Have a seed spitting contest with the whole family. Going camping? Bring some long sticks and have s’mores after the fireworks fade, the coals from the campfire will create their own glow! Tape flags to bicycles and watch them fly in the wind as you go for a great ride. Decorate your bikes with red white and blue crepe paper, watch the colors swirl as you ride. It is the best personal parade you could have! Red Strawberries, Blue (wild black) raspberries, White vanilla ice cream: Scoop up some patriotic fervor on a hot night. After the fireworks, should it be a cloudless night, gaze at the stars, the many millions of them and realize they were there before our flag was a thought… and will be for eons to come, may our freedom last too! Breakfast: (White) oatmeal (Red) strawberries (Blue) blueberries with a touch of brown sugar and walnuts make for a healthy heart start of the day! Get out of the house! Is there a Farmer’s Market nearby, chat with the folks. Become part of the community. As with any night on the town ... Do not drink and drive. If you need to drive, be sure to have a designated driver. Setting the table sets a mood and a great background for your meal. Use your white napkins and tie them up with red and blue ribbons! Do you love to stamp? Paper napkins are the perfect place to display your USA flag, stars or red and blue inks. Are you a quilter? Some of the red white and blue scrap material can fill a clear glass container and present a simple patriotic decoration! Bring in the flowers. Our nation is beautiful, America the Beautiful. So many are blooming now, fill a few vases with these gifts from the garden. Make sure you put a small vase in the guest bathroom… a special touch. Let the kids have a paint party…. Right outside, in the driveway! Collect some rocks, shells or pieces of driftwood. Creativity is just waiting to happen. Set the stars shine right there during the day. Be certain to put the artist’s initials and the year on the back. Spray with a protective coating and let dry. Take a walk, run, skip. Remember celebrations can bring out the kid in all of us… and Independence Day is a GREAT celebration! Before the big day, visit the library. Take the time to refresh your memory about our founding forefathers. Remember the sacrifices made and the great strives we as a country have accomplished. Read about military family issues at Our Letters to You so you can thank them and know how to help! Sing some of the grade school songs that you learned: Yankee Doodle Dandy, This Land is Your Land, You’re A Grand Ole Flag for example. Find a new trail, park, or hike to enjoy and invite a military family or friend along who has loved ones deployed! Ever kayaked? Canoe? Try something new! Most installation MWRs will rent them to you at a low price! Call a military family that you have lost contact with and relight your friendship! Find an old friend on Facebook, Twitter or other social media and wish them a Happy 4th of July! Sing patriotic songs: each branch of the military has their own song. Off We Go Into the Wild Blue Yonder, USAF; Anchors Aweigh, Navy; Caissons Go Rolling Along, Army; Always Ready, Coast Guard; and The Halls of Montezuma, Marines. Take a bike ride with a church group, BOSS or other organization to enjoy our beautiful countryside! Make a swing to play to on with some one who laughs a lot and likes a breeze in their hair! All it takes is strong rope and a nice branch! Or enjoy putting one together! Play a game of croquet! Or Bocce Ball! What fun! Find them in any large box store before hand! Build a bonfire in your fire pit or go to a park! Always fun to use for s’mores and hot dogs! Not to mention keeping late evening bugs away! Bandanas. They were made for the 4th of July! Wear some red white and blue... they even fit perfectly around your puppy’s neck! Ask your fire station or police department if you could bring them something to say thank you! A box of cookies or other goodies are always appreciated by these protectors! Are you finding time to just relax? Sometimes we forget to take time for that on a big holiday! Stay at home and find local events to enjoy! Keep America Beautiful. At a park or even in your own backyard; if you see garbage pick it up and throw it away! Do you have a collection of candy from summer parades that you know will never be eaten? Contact http://operationshoebox.com/ to find out how to send it overseas to our troops. Start to plan a family-vacation for NEXT summer! A visit to a National Park or a beach-vacation. A little planning, and a year’s worth of savings will make it much more enjoyable. Stay cool at a water park! Bring plenty of sun screen! Know someone in the hospital or bed ridden? They would appreciate a visit on a holiday when many are forgotten! Freeze up some homemade ice pops. Paper cups will hold your drinks as they form in the freezer. Just as it turns into slushy ice, stick in a plastic spoon for your popsicle stick! Put up a flag pole! A pole and a bag of concrete are easy enough to find! Be sure to use a level to get the pole straight! Tell young people why you are putting it up! Thinking Red White and Blue? Act green too! Use recyclable bags, grow that garden and can vegetables, walk when you can instead of taking a vehicle. It’s a good thing! Encourage your town, village, city to recognize our heritage with flags and other decorations on “Main Street”! Volunteer to put out “stick flags” along the road! White water rafting is wonderful over the 4th! Find a reputable company and enjoy the wild side! Take to the mountains or forest with family/friends for a backpacking trip! Carry an emergency kit and leave a route plan with someone reliable. Because you can read this, you can thank a teacher. America the Beautiful has an excellent education system, and you are a product of it! Ask around. 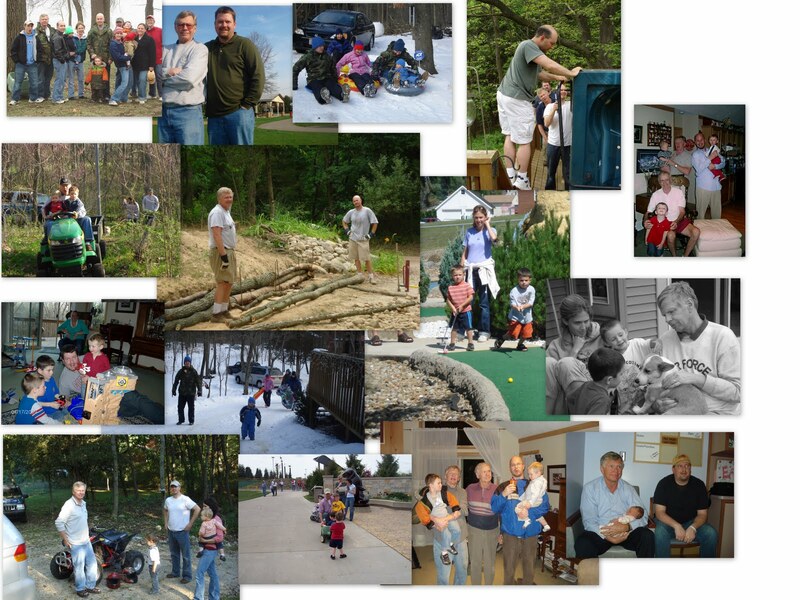 What is a great way to spend the weekend in your community? What is unique about your new-community. Remember the benefits of military-life is travelling and seeing things you have never seen. Now is the time to take advantage of that! Play a neighborhood game of baseball with everyone invited! Make it kid and adult friendly for lots of laughs and kidding! Adults bat opposite handed and run the bases while hopping. One Nation Under God. Remember to thank God for our freedom, for our country, for our leaders, for our flag! How about a big water fight in the backyard? Invite friends to bring their squirt weapon of choice! Climb a tree with a child and enjoy the unique view of the world! Lower branches are fine but create a perspective that they will love! Join the kids in the kiddie pool. Be a child again and they will LOVE the company! A Patriotic looking dessert can be beautiful and delicious all at once! Prepare a box white cake. When taken out of the oven use the back of a wooden spoon to poke wholes in cake. Drizzle prepared blue Jello in depressions, ice with Cool Whip and decorate with strawberries. Enjoy some time with elderly parents/grandparents! WW2 veteran? Thank them and ask them to tell you about their service or time at home alone waiting for their loved ones to return! Give the primary cook some time off with a restaurant or cook for them! 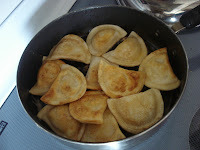 Learn something new and open a cookbook! It is the beginning of summer! So much ahead! List some goals to be achieved: books to be read, hobbies to be started, places to go, menus to try. Life is so good! Run or walk in a 5k or other race with a patriotic theme! Take care of your pets with a walk or activity that is appropriate for them! Remember they may not like the fireworks, noises associated with our celebration! Invite friends and family to ride off road vehicles or other similar activities! Wear a helmet and watch the alcohol intake! Create a new plan for next year when time allows so the 4th does not catch you by surprise! Coordinate to meet long distance friends in a half way spot! Let the kids become sidewalk artists! Great chalks are available at the BX/PX and or NEX. Help the kids set up a lemonade stand for the neighborhood! Think outside of the box, too. What about including homemade Sno-Cones or freezer pops? Bring your favorite lawn chair, picnic blanket, or beach towel; sit back and enjoy the fireworks! Remember the freedoms that we have as Americans and be thankful for those that work so hard to keep them for us. Happy 4th of July from the entire MilitaryAvenue Team! Play Hard, Play Smart and enjoy your American Freedoms every day! Ah Summer! We no longer pack lunches for school in the morning but fly-by-the-seat-of-our-pants at lunch time. Frozen pizzas cooked in the toaster oven, PB-and-J, cheese sandwiches... all favorites around here! But this weekend when I was grocery shopping I picked up a few packs of refrigerated croissant rolls. YUM! So much diversity in one little package of raw dough. Our Mazda 5 was a great "mini-mini van". It held four of us very comfortably and when there were five of us it still did the job! (It can hold up to six but with the back row not stowed there is NO trunk space.) The thought of fitting six of us (with BabyBoy on the way next month) just kind of made us chuckle and cringe in the same moment so we knew we needed to find something a bit bigger then our mini-mini van. I did some research. Figured out exactly what I wanted and we headed to the dealership. I drove it. I loved it. I would have been happy to get it. But Hubs and I differ in the car-shopping aspect. He insisted we needed to drive at least two or three other makes of mini-vans. Sigh... I hate car shopping. I hate pushy sales-people. I hate spending a day (or three or four, five or six in Hub's best case scenario) doing something I feel should only take a few hours at the most. The next van we tried was SO plastic inside. I hated it. Then we headed to the Toyota Dealership. The sales-gal was very nice and offered to pull up a van so that we could test-drive. We got in ... and I noticed the leather, the wood-grain, the DVD, the sunroof, the heated seats ... and I realized she was showing us a HIGH END Sienna. THIS is why I hate car-shopping. I was perfectly content with the first van. It was not high-end. I did NOT know what I was missing. (Including the nearly 40k price tag) But now I had driven luxury in the mini-van world. Now I was going to be discontent. Even telling myself there was NO WAY we were investing 40k into a minivan, it just did not make financial sense, did not seem to help. So we headed home after driving it. Ready to pull my hair out and say "screw-it; we'll just cram ourselves in the Mazda 5 for another few years", I started over that night. I jumped on USAA.com to compare all the mini-vans we had driven. What made this 40k-van so desirable compared to the 24 - 28k van I was originally in love with. USAA has a great car-research center. It presented new-van specs. But then there was a Used Vehicle section that caught my eye. Then there it was. Right on USAA. MY VAN. That 2010 Toyota Sienna I loved ... three years older. Hubs and I had only really talked about buying / leasing a new van. Buying used hadn't really crossed our minds. We had already been to this particular dealership once, so the next day we drove back over and let them know we wanted to look at their used vans. Sure enough. There was MY VAN sitting in the parking lot. We drove it. It had just come off of a lease. It had around 40,000 miles on it and the warranty was still in effect. It had leather seats, DVD player, three-zone temperature control. Yep. This was the van. They had all of the service-records at the dealership since it was brought into that dealership for all of the service. We were content. That night (at 9pm) from the comfort of our home I called USAA and got the loan. It was kind of a long call, but painless. (I filled out the online application but apparently it needed manual-approval in our case.) The next morning we drove back to the dealership, check in hand printed from our computer, and called the van ours! Do your research! If you are in the market for a new vehicle (even a new-to-you vehicle) I would highly recommend logging onto USAA and checking out their car-buying section. We didn't use their "Car Buying service" but certainly appreciated all of the research tools they put at our finger tips! This DoD Roundtable was perfectly timed for me! We were scheduled to participate and talk with U.S. Air Force Col. Schuyler K. Geller, command surgeon and commander, Medical Training Advisory Group at Camp Eggers, NATO Training Mission-Afghanistan/Combined Security Transition Command-Afghanistan. But earlier in the week I had to have some last minute, unscheduled foot surgery and did not know if I could attend. But the schedule did work out and after my very recent personal experience while being treated, I talked to Col Geller with an up to date appreciation for the wonderful abilities of our medical team in the United States (and medications to help reduce pain as well)! Dr Geller commented on the Afghan security forces health care and their development of health care training programs. He had a very interesting perspective on Afghan health care and some statistics as well. According to the doctor, the biggest challenge that the Afghan military medical system has is a lack of doctors. Less than 40% of their authorized positions are filled! That is right! Wow! I bet they don’t complain about waiting in a doctor’s office for an hour like many Americans do. The nursing ranks are also below authorized numbers but new branch schools and some great trainers from the Nebraska National Guard are jump starting their program with 20 nurse graduates last year, 40 this year and moving up to 80 next year. They will meet their nurse goals in 2-2.5 years according to Dr Geller. The military needs simple preventive measures to reduce the number of losses from injury and disease. While technology is not a problem with an adequate capability, simple vaccinations are due to lack of personnel to administer them. The military had 14,500 personnel removed from the force due to injury and disease during a time of war. The international community has poured funding in to Afghanistan to help develop their entire medical system. Almost a billion dollars was donated between 2002 and 2008 to help establish a national health care system. But to meet the needs of the military medical community two things need to happen according the colonel. First, they must recruit more medical personnel, in particular doctors. Only one of three recruiter positions are filled and that continues to inhibit the number of new MDs. Second, quality must improve through training programs such as the nurse program with the Guard trainers. They need stronger ties with outside schools and better clinical training and faculty for the medical schools. Dr Geller said that within one year they will see improved faculty with ties to US and other university medical schools. I asked about tapping into the resource of women medics and he said that the country does have a significant number of female nurses and some doctors. Most are in traditional roles for women such as OB/Gyn and pediatrics and are required to be in their home community and do not work at night. Most are in Kabul and no combat medics are women. The entire Afghan medical system is complicated with five different medical systems ranging from the military system to private and outside Non Governmental Organizations (NGOs). He said the Afghan population has low confidence in the public health care system and that they do have guaranteed health care coverage. He said 57-59% of Afghans go to private system medics on their first visit and pay out of pocket costs instead of using the government provided programs. This increases to 75% on the second visit which further shows the lack of confidence. Again, out of pocket payments to see a doctor/nurse in whom they have confidence in a very poor country. With a national system that sends folks to private doctors due to a quality issue it might create a pause for any country changing to a national health care system to avoid creating similar problems. Not to mention the lack of doctors in their military to care for those who are serving and protecting. In closing, Dr Geller said that the medical system returns value and that it is worth our efforts to improve. He predicted that within 4-5 years quantity and quality problems will be significantly resolved allowing withdrawal of allied medical resources. I hope my foot is healed by then! If you would like to listen to this Roundtable or read a transcript, please go to DoDLive. 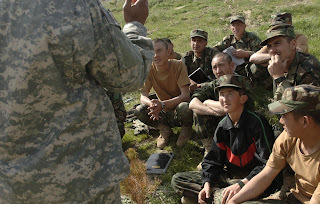 For more interesting Roundtable discussions with our military leadership and recent articles on Afghanistan please go to Our Letters to You/Afghanistan or MilitaryAvenue.com’s Reading Room! Master Sergeant Craig Abrom asks random medical questions during a hands-on vital signs training course with Afghan National Army soldiers participating in the Combat Medic Course in Kabul, Afghanistan. Sergeant Abrom is a mentor assigned to the Combat Medic School. Master Sgt. Sherri Taru shows Afghan National Army soldiers how to find a pulse and check vital signs during the hands-on portion of the Combat Medic Course in Kabul, Afghanistan. Airmen and Soldiers mentor ANA instructors throughout the Combat Medic course. Each class has approximately 65 to 90 trainees. What are You doing to help your soldier? Get involved with the PDHRA! What can you do to help your soldier, marine, airmen, coastie or sailor’s mental and physical health? We read headlines and are bombarded with some tough stories about our veterans daily on all of the media – written, internet, tv, national and local. We often say to ourselves: What happened? Why? Were their families available? Friends? What did the Army, Navy, Air Force, Marines, Coast Guard do or not do? Are we still waiting for help from the VA, the politicians, additional funding for programs, etc, etc.? The suicide rate is going up, homelessness is going up, the number of veterans with disabilities is going up and we sometimes just want answers! How can or could I help? Yesterday, I had the opportunity to interview US Army Colonel Sophia Tillman-Ortiz who directs the Post-Deployment Health Reassessment Program (PDHRA). I was looking for a way to help you and your loved ones reach out! The government can offer programs but to be successful they need your involvement! At MilitaryAvenue.com we realize that this is important and we provide some great resources for you on the site to help. Recently, we compiled a list of articles/resources at The Military and Your Mental Health to make it readily available and easy to find in one spot. Col Tillman-Ortiz provided a good discussion about a great resource as well for your soldier and I thought you might need to know more about it so you can help when needed! First, a quick discussion of the program and what it offers. The PDHRA is one step in a cycle of physical and mental health steps to care for our soldiers (the diagram includes all the steps) from annual, pre deployment, deployment, post deployment and 90-180 days after deployment! During these different steps the soldiers are given surveys, talk to medical professionals and identify any issues they may have that need attention. 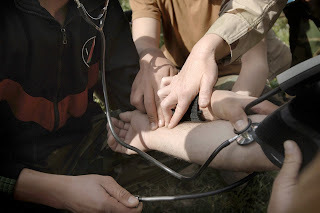 The surveys are self identifying so that the medical personnel can follow up with questions on any issues that are occurring that may damage the ability of the soldier to be healthy – physically or mentally. Unfortunately, we know that some problems are not easily identifiable and may occur after returning home and require further identification and attention! The medical community has found a critical timeframe for this review and this is where you come in to the picture! Tillman-Ortiz said that 90-180 days after returning from a deployment is the optimum time for a follow on assessment of a returning soldier’s health! Currently, the PDHRA is completed by 95% of those who are required to take it! The means a lot of folks are not taking it! Why? There could be a lot of reasons but with 600,000 recently completed she felt that the program was effective in assisting our soldiers. But a soldier’s family, friends, co-workers and others should encourage them to take the PDHRA and respond to the mental/physical health interview in a way that opens the door for further discussion and help! During some recent medical issues that my family faced, we found that patient advocacy is a force multiplier when it came to health care! Are you an involved family member or friend? Take the time to sit and talk about the aches, pains, challenges of re-uniting, reunions, adjusting to the home life, frustrations and fears of your soldier and finally write them down. Make them aware of what you see and how they feel! The PDHRA is not a test! It is not pass/fail and it certainly does not indicate a weakness on anyone’s part! Our service members have been exposed to trauma in the form of combat (some more so than others) and need to be taken care of but they also need to take care of themselves. You can help them do that by encouraging them to participate in the PDHRA (and the entire physical and mental health program) and being aware of the program and what it offers. For more information on the program please go to their website at http://www.armyg1.army.mil/hr/pdhra/ where you can find email contact information as well. This program is service specific to the Army but open to all components – Active, Reserve and Guard. The PDHRA is not currently under formal review for an update (it was last reviewed in 2008) but feedback is always critical! Do you have any comments or experiences that you would like to share? If so, please comment on this blog, send me an email (dale @ MilitaryAvenue dot com ) or contact them directly on their website. We will forward any information we receive to them as well! As we approach the 4th of July and celebrate our country’s birthday I want to say thank you again to those who faithfully serve and protect her and to the families who care for our heroes – injured or healthy! Have a great holiday and thank you Colonel Tillman-Ortiz for taking the time to talk to me yesterday. 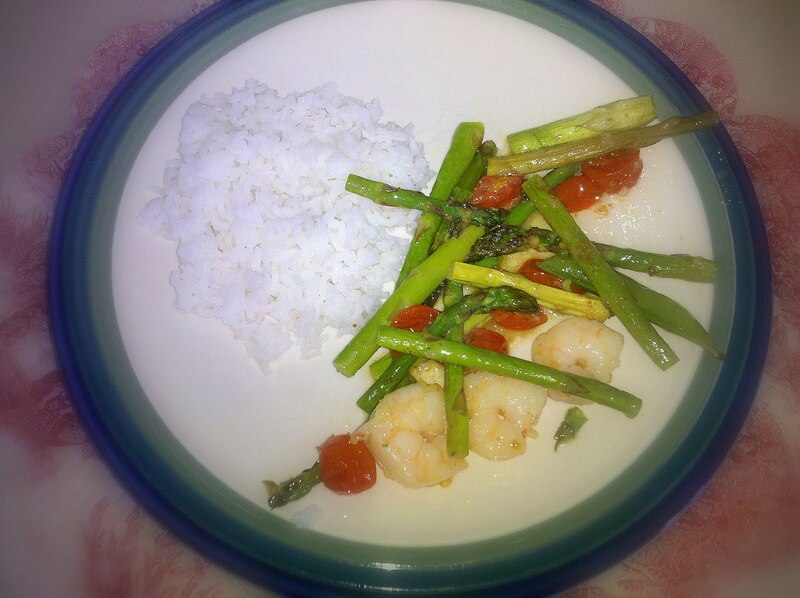 One of the boys 'Summer Jobs' options each week is to help Mom make dinner. It is usually one of the first chores chosen but little do they know what I have up my sleeve. I love watching them learn even when they least expect it. They love this kind of learning! 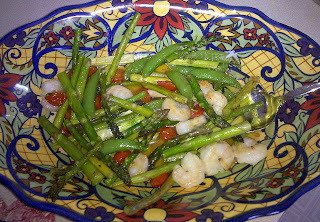 Next time you are getting lunch or dinner ready in the kitchen pull the kids in. Find time to enjoy the love of learning in the every day! With so many things grabbing our attention in this very busy world little notice was made of the recent deployment of forces to continue with the humanitarian assistance programs in Haiti following that country's devastating earthquake. What is particularly surprising is that the Louisiana National Guard is leading this effort while facing its own disaster at home with the oil spill. Showing our national spirit of supporting those in need once again, the Guard is leading a joint force of responders with components from active, Reserves and Guard forces. Col Michael Borrel, is the Commander of “Task Force Kout Men”, Creole for Helping Hands. Despite an extremely busy schedule he took the time to talk to the DoD Bloggers Roundtable about this latest effort to reach out to the Haitian people. He described the “New Horizons” mission as two fold with relief for the Haitians and a great opportunity for medical teams and engineers to get valuable training. After the earthquake up to 100,000 Haitians left the Port au Prince area and settled about 100 miles to the north, quickly overwhelming facilities in that region. With about 500 service members under his command the medical readiness teams have spread out to 5 locations and the engineers are rebuilding or adding on to four schools. The colonel said the key is "partnership" with the United Nations forces, Haitian national police and non governmental organization (NGOs) who have provided assistance and cooperate to make the team of Kout Men more effective with their particular skills. The task force has five helicopters from three different states (Louisiana, Montana and Nevada) to move TF members and supplies to the different school project and medical readiness training sites. One aircraft remains at the base camp to provide a response capability for the team and the other four are based at the Port au Prince airport. Two heavy lift CH-47s and three UH-60 Black Hawks are manned and maintained by TF crews. Each medical team consists of 30-40 personnel with 3 or 4 doctors to treat Haitian patients. He said the teams are rotating with new personnel every 17 days to spread the training opportunities (and annual tour requirements as well) among as many as possible. They have a close cooperation with the medical NGOs and Haitian medical personnel as well. The engineers are replacing wells and latrines at the school projects as well to improve sanitation for the children. One inevitable question was how can the Louisiana Guard support this project while their coast is under assault from the oil spill and with the hurricane season just kicking off? Colonel Borrel said the plan had been evaluated by their staff and that they were not doing it alone. The Louisiana National Guard is very busy he said with 3,000 in Iraq and 1,000 engaged in cleanup right now. The Guard is also the state’s primary force for hurricane season recovery efforts and he said they were prepared to respond to a potential hurricane as well. He closed with comments about how he was extremely proud of Task Force “Kout Men” and how much respect they were receiving from the Haitians. He felt giving back and helping out others was important and that they were accomplishing so much in Haiti. Amen! Thank you Colonel! Thank you again to the Colonel and the folks who set up the Roundtable! Great information and on scene perspectives from around the world direct to our audience! Photo Credit: Col. Michael Borrel from the Louisiana National Guard is commander of Task Force Kout Men (Helping Hands in Creole). Borrel is spearheading the New Horizons-Haiti 2010 mission in support of the U.S. Southern Command. Dale and I zoomed thought the aisles of the Fort Riley PX. It is a great store, some seems to be better than others... could it be I love the one I am in at the time? No matter. Fort Riley's PX has racks of clothing, shelves with Vera Bradley bags, eye catching sandals, and summer pizzazzy (my word) crocheted fun purses. I was shopping for a fun outfit to wear to a niece's wedding in New York. I have a standard wardrobe. I know my colors. I can mix and match items from one outfit to another, ready to be on the road with as little baggage as possible. So, when I spotted a wildly colored orange, turquoise and yellow skirt... so NOT my colors, I picked it up and put it down a dozen times, and thought... forget standard. This could be fun. I proceeded to find a top that would survive suitcase living, a sweater -as nights are always cold up in the Adirondack mountains in NY, snazzy shoes (orange and turquoise!) and that crazy handbag. Let me tell ya, my mind was stylyn! Days after we got home from Kansas, I took the outfit out to inspect. ARGHHHHHH during my decision as to if I wanted the skirt or not... picking it up and putting it back... I picked up a size 4. Ha ha ha, that would fit my right leg... not good. Not good at all. So, I decided to call the PX and spoke with the manager. I told him immediately that I was a bad customrer, as I should have checked out the size. I should have been alert. But no. Could they, would they send if available, the correct size. Nothing like this skirt was in the AAFES online store. I checked. I checked everywhere before pleading like a fool on the phone. Ready to promise anything that they wanted to get this skirt, ready to beg like a mad fool... I heard his response: a pleasant.. "let me check to see if we still have it." OH! OH! I was hoping! Five minutes later I received a phone call that it would be in the mail, I covered the cost of shipping and the new skirt.. AND WOWERS I was and am the poster child for AAFES. They are the best, and have been. Thank you AAFES for all that you do, for all the places that you serve, and for the extra mile, and in this case 1,000 miles that you extended yourself! Well done! The DoD Roundtable discussion focused on the Afghan Defense University this morning with Dr Jack Kem, the deputy to the commander, NATO Training Mission-Afghanistan, providing an update and answering our questions. The university is about 20% complete and will be the central facility for all of the Afghan Army Professional Military Education courses including their National Military Academy (Afghan’s West Point), NCO Academy, First Sergeant School, Battle Staff NCO Course, Command and Staff College, War College, Legal and COIN (Counter Insurgency) Academy. 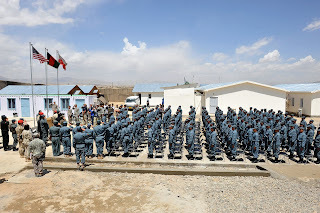 Dr Kem described the school as the “key enabler” for the long term health of the Afghan military and shows the commitment of the US and NATO to the country’s professional armed forces. With a focus on leader development for a self sustaining force the school is being built on 105 acres at a cost of $205,000,000. 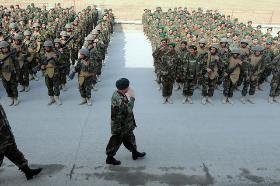 Eventually it will have 6,000-7,000 students on the campus and will be the “crown jewel” of the Afghan armed forces. I asked specifically about literacy programs for the armed forces and Dr Kem said they have 23,000 in literacy programs right now, expecting 80,000 by December an d 100,000 by July next year! The programs are so popular that they have more applicants than slots. For example, the National Military Academy had 3,000 applicants this year with only 600 accepted for the graduating class in 2014. It is a four year program that, just like our service academies, requires a high school degree and is merit based. With 200-300 faculty members planned the course shows the emphasis the military community has placed on leadership development and training programs for 3-5 years out from now. The first students will arrive at the new facility in March 2011 with the current programs that are dispersed within other facilities to be relocated as construction allow. An interesting point that Dr Kem made is that the Afghans are doing the instructing for themselves with assistance from NATO. 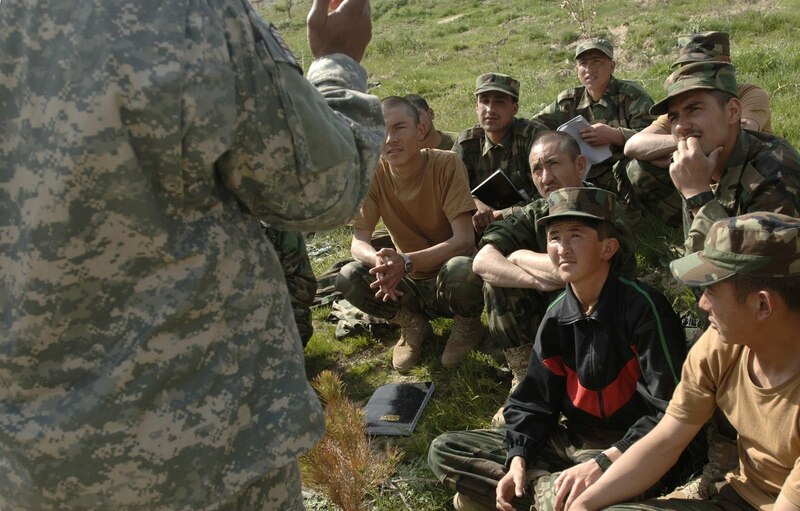 New programs such as the NATO/Afghan Cooperation Program; the US National Defense University (NDU) Memorandum of Understanding with an exchange of faculty between the US, UK and Afghanistan; and a graduate English program preparing 15 students for Masters Degree Level work show future opportunities for the Afghans to maintain and grow their professional education efforts. 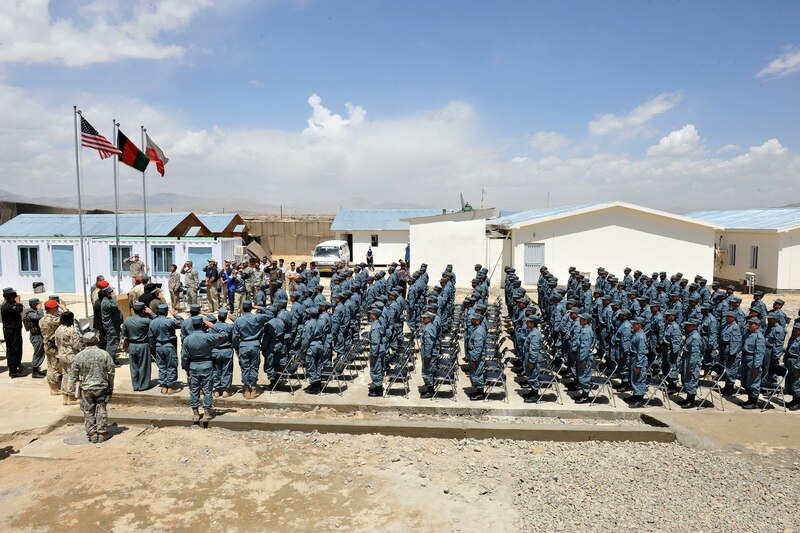 With external evaluators to review program content, accreditation standards being applied and a focus on a long term institution the Afghan Defense University appears to be heading in the right direction. Dr Kem said he was very impressed with the academy students. One fourth of the students at the National Military Academy can speak English and the students are very articulate. They will be the essential leaders as the country develops its future and charts its own path! 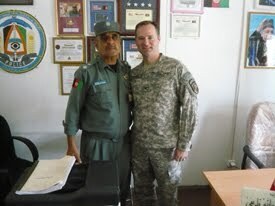 The “crown jewel” of the Afghan military will have an impact that will last for generations according to Dr Kem! Thank you for your time Dr Kem with the Roundtable and your efforts to help the Afghans reach their potential and grow a professional military force! If you would like to listen to the Roundtable discussion please go to DoD Live! Would you like to see more information on our efforts in Afghanistan? Please go the MilitaryAvenue Reading Room or Our Letters to You blogs! To see an interesting blog about Afghan money and recruitment please go to Success in Afghanistan? Payroll, EFT, Training, Recruitment, ++ DoD Roundtable. A big thank you to LT Jennifer Cragg, US Navy, for her organization and moderator role in the Roundtables! They bring the military leaders in the fight right to the social media folks like MilitaryAvenue.com and we appreciate their willingness to participate!